Here at Macadam Floor and Design, we are the experts on floor design and installation. We stay on top of recent trends while remaining committed to excellent service and installation. 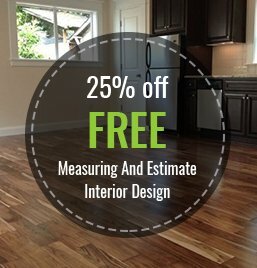 This includes laminate flooring, an innovative, increasingly frequent choice for new and remodeling homeowners alike. Laminate flooring is a versatile process that allows you to replicate any number of flooring options at a reasonable price. Families and active lifestyles will be reassured to know that laminate is durable, requiring little maintenance or small repairs. Laminate starts with a “backing” layer that makes sure moisture doesn’t accumulate in your floorboards, which results in warping and degradation. The inner core comes next, which is made of high-density fiberboard for a reliable flooring backbone. The design layer is where the fun starts, as we select wood, stone, metal, or other appearances to match the decor of your house. To finish things off, a wear layer protects against everyday scratches and damage. We carry all of the highest quality brands, such as Kraus, Kronotex, Lamett, Mohawk, Shaw, Quickstep, and Wilsonart. What Are the Best Rooms for Laminate Flooring? As suggested before, laminate is a versatile material that allows for the realistic appearance of designer materials without the egregious prices or constant worry about maintenance. Because it comes in planks of various sizes, laminate is quick to install and won’t shut your house down for a long construction process. It replicates a variety of surfaces so laminate can be installed on almost anything except for carpet. In addition, laminate is tough and resistant to scratches and dirt. This means that it can handle heavy traffic areas. Macadam wants to assist you during the entire process, as we know how overwhelming a project like a floor renovation can be. We have an easy-to-navigate design center so that you are fully confident in your decision, along with a design team to answer any questions or make suggestions. We can install the flooring as well. Because we’ve worked with our contractors for 10+ years, we expect only the highest quality service. Deciding who will work on your home should not be taken lightly. We are confident that Macadam Floor and Design is the right choice for any of your flooring needs. When you’re ready, we’ll be waiting for you. Stop by today to get the exciting process started!